Having a blog may for some business owners sound unnecessary or even silly – why would someone care about what a random company has to say? But it turns out that having a website and running a blog can provide your business with serious benefits that, quite often, far exceed the costs of running it. Especially that, aside from the time you need to manage the blog, all it takes to run one is a hosting package such as the one you can get here http://hostinger.com/web-hosting. What are some of the most important benefits to blogging for business? Ever wondered why some companies can charge extra fees while other are struggling to attract new customers despite offering the exact same product or service at a lower price? One of the reasons for that is the brand trust. If customers don’t trust your brand, they will be more hesitant to make any purchase. Blogging is one of the most effective ways of building trust and showing that you know what you’re doing. Why? By sharing your knowledge in the form of blog posts, you can both educate your audience and prove your expertise. If your content is insightful, fresh, and benefits the reader, you can quickly become an authority on the subject in the eyes of your potential customers. Once you build up the trust, your company website can become the go-to source for information, attracting new visitors on its own. 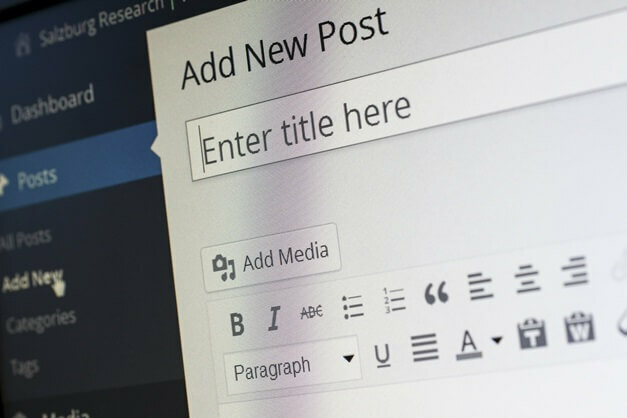 Despite increasing SEO competition, blogging is still one of the easiest marketing channels in terms of getting started and managing the work. Naturally, that doesn’t mean there’s little to no work involved. In fact, it can be one of the most time-consuming marketing endeavors, requiring constant monitoring and frequent updates. But, if you do diligent keyword research and plan your content calendar right, it can become one of the most stable sources of traffic. The security and stability of organic traffic are often questioned, especially by those who were hit by one of the infamous Google updates. Thankfully, Google takes many different factors into consideration when judging the quality of your site – one of the critical ones is the content that you publish. If you choose to populate your blog with high-quality blog posts, full of original content (copying from others is the worst thing one could do – it’s better to not have a blog at all) and educational value for your readers, you have nothing to worry about. In fact, as new updates come, you will only be getting more traffic, as competitors playing the black hat game will keep falling out of the search engine results. Top all that with the evergreen content that never gets old, and your blog can quickly turn into an asset that will serve your business for years to come. Once you have a constant flow of blog posts, you can reuse the content in different marketing channels. For example, you can share the content on social media (such as Facebook or Twitter) or link to it in some of the emails you send to your email subscribers. And if they like your content, you will be able to enter their inboxes without being too pushy. In fact, they might even start anticipating your emails! Don’t have an email list? No worries – having a blog will provide you with numerous opportunities to ask your visitors to leave an email for a simple lead magnet, such as an eBook or a guide. Which can be an extended version of some of your best-performing posts, especially if they are so-called evergreen content. Being able to maintain multiple channels at a lower cost can provide you with great savings which you can later reinvest in more content, increasing the value of your virtual asset. Not to mention that maintaining multiple channels enhances your credibility, further improving your brand’s image and trust. Speaking of brand image, blogging gives you a lot more control over how your audience perceives your brand. The tone that you use when writing your blog posts can shape the attitudes of your readers towards your company. For example, you can be very professional when writing about stocks and use a personal tone if your audience consists of stay-at-home moms. The tone that you choose helps you “click” with your audience and makes building relationships with them much easier. On top of setting the tone, you can also choose what you write about. Blogging on a very niche topic within a broader niche may attract those looking specifically for the kind of services or products that you write about. And which, due to their small audience, might not be emphasized by your competitors in their marketing materials. How to tell a good blog from a mediocre one? Some of the best blogs are the ones that are read by people sipping their morning coffee or on their way to work. What’s interesting, it doesn’t matter if the posts were written by their friend, a university professor or a business that promotes its products and services. What matters is whether the blog posts can help them solve their problems – learn new skills, show them how they can use certain products, or improve their own business. Of course, considering the marketing noise, your readers might quickly forget about your blog – even if the content is high-quality. That’s why you will need to remind them about your existence. That’s where the social media, email marketing and push notifications come in. 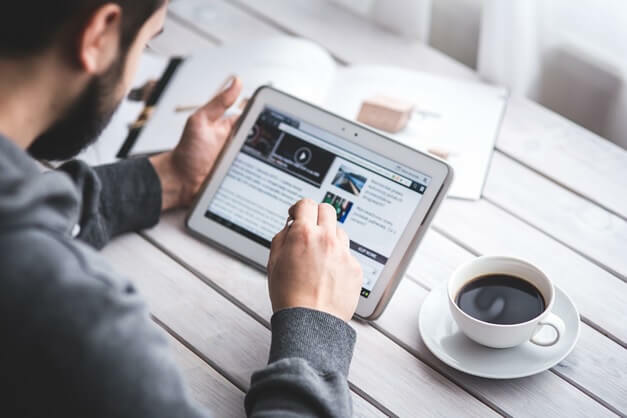 By having content your audience will be eager to read, and sharing it with them, you can keep attracting a certain portion of your audience to your website over and over again, effectively building a long-term relationship with them. Who knows? – they might even become your loyal customers and brand advocates, who will attract even more leads to your business. 6. Blogging Can Grow Your Business – And There’s Data to Support that! Having your readers attract more people by sharing your content with their friends (see #5), is just one of the ways in which your blog can grow your business. Blogging can help you attract lots of organic and referral traffic. And you don’t have to be a huge brand to start enjoying the “free” traffic from Google and Bing search engines. All it takes is a smart content calendar strategy and careful keyword research. Just take a look at the data – it’s estimated that companies which blog frequently get 67% more leads through their website and 97% more links to their websites. And if you know the basics of search engine optimization, you know how valuable such links are. Publishing content leads to attracting more visitors, who share your content on other websites, what attracts even more traffic – a snowball effect in action. All the mentioned benefits of blogging lead to one final goal of every entrepreneur – they increase business profits. From strengthening your brand, building awareness to attracting a steady flow of traffic and building long-term relationships with your customers – all that can have a positive influence on your revenue. And as your visitors trust you more and start associating your business with a solution to the problem, it becomes easier to convert them into loyal customers. Who’ll return to your business repeatedly anytime they need your product or service.